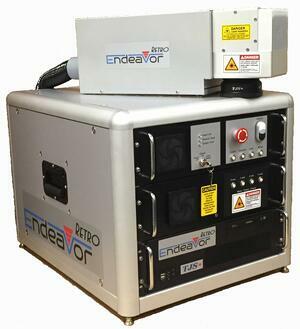 TJS Lasers is proud to introduce the Endeavor RETRO fiber laser system. This new fiber laser system is inspired by our 35+ years of experience servicing and repairing lasers in just about any environment. The Endeavor RETRO is designed to be a replacement system for any existing flash lamp, diode pump, CO2, or other existing laser system. The RETRO option will allow customers to utilize their existing workstation along with most automation as we simply replace the laser and controls with the appropriate Endeavor RETRO laser. Many people call this an OEM laser and that is exactly what RETRO is. This system can be designed into a new automation cell, an OEM product, or added to an existing production line. We designed the Endeavor RETRO for maximum flexibility based on our over 31+ years of repairing and retro-fitting laser systems. 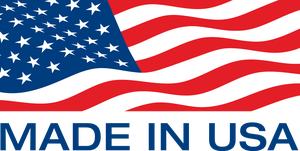 All Endeavor RETRO fiber laser systems are proudly design, manufactured, and assembled in the U.S.A!